PMS is NOT just premenstrual syndrome (a dis-order), but also stands for an internal "warning system" which alerts a woman that the (order-ly) changes are occurring inside her body. Those symptoms prepare us to be ready for the monthly cycle and all that it entails: some times moodiness (not rage), a bit of water retention (bloating), maybe a mild back ache or headache, even sometimes a craving for a certain kind of food. **raises an eyebrow** "Even sometimes a craving for a certain kind of food." Mom was a habitual undereater. I'm an emotional eater/chaotic grazer with binge tendencies. I want to try all the food groups. Sometimes til I feel sick. 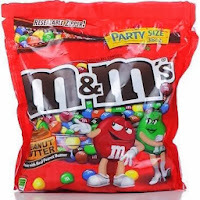 When it comes to PMS there's already this sense of "Well, I'm going to get bloated anyways, might as well stuff all the food in my mouth and deal with the fallout the other three weeks of the month." Or "Since I have to deal with this horrible thing that happens every month, life owes me this small comfort." This is what binge eating is for me: the ability to consciously and logically realize that food won't fix what I'm feeling, but the absolute emotional panic of not being able to stop myself. Fortunately, I don't always feel this way. I know that it's worse when I'm PMSing and when I'm under stress. I just need to remember that I am not the binge. I am better than the binge. I'm worthy of actual nutrition... and a heating pad. Since I started school last week, I am confused if I am eating a lot because of my anxiety or I am PMSing. I lost 30 lbs so far. I dont want school work to hinder me from losing weight due to stress etc. Jade: The only thing I can really say is try to put a voice to why you're eating. There's a big difference if you can say "I'm hungry, I need the fuel" versus "I'm stressed, I need the relief." Jade: The next step in the process is "what else gives me relief?" For me it was exercise -- maybe look for an intramural team? Loved this post. I can so relate. and I forgot to take a regulating hormone I'm supposed to last month, so I've been in a PMS like state for about 3 weeks!!! It's taking every single piece of willpower I have to not go crazy and binge my a$$ off. 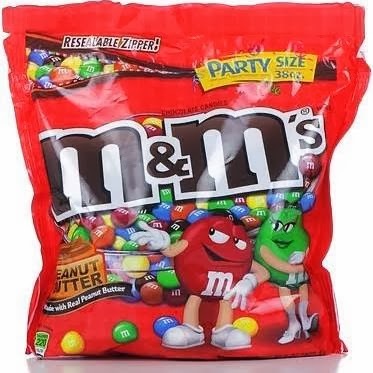 I commend you on giving away those M&M's... that's a very hard thing to do. though getting them off your body later is much harder! LOL. PMS for 3 weeks? Oh you poor thing!!! 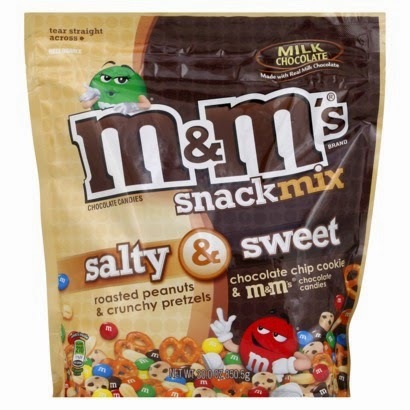 Had they been Dark Chocolate M&Ms, I may not have been able to. I shouldn't have bought them in the first place and then given them to a friend. After I did it, I worried that i sabotaged her diet, but she's much better about what she eats. I'm envious of her self-control. 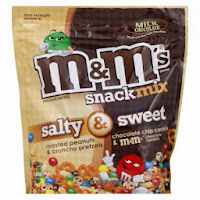 Luckily, they don't sell Salty and Sweet M&Ms here in Australia, at least I have never seen them. I've just finished that time of the month and dropped the extra weight I put on during overnight. Yay. So I guess it was all bloating, not the chocolate. I'm not a huge Tim Tam fan, but mint slices are DEEEELICIOUS. Bloating is a beast too. Glad it wasn't the chocolate! I go through the exact same thing. Lately, my binge tendencies are getting the better of me, but I'm still fighting. The ability to consciously and logically realize that food won't fix what I'm feeling, but the absolute emotional panic of not being able to stop myself. I think that's the feeling most addicts have at some point--the logical process that they can easily access, but that is completely overridden by the emotional dysfunction. It's the worst feeling to think that something so small has the ability to reduce you to tears.